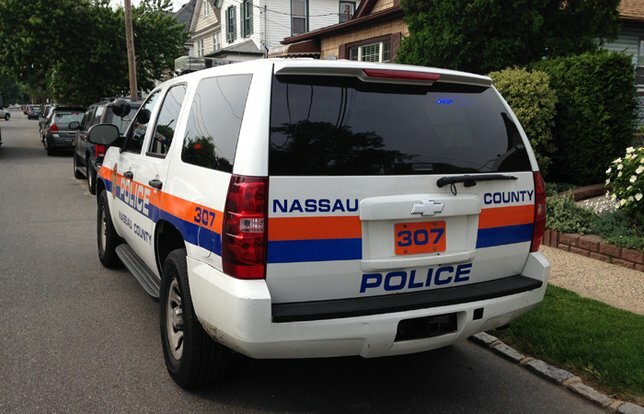 NCPD: Christian Siley, 18, of Hempstead was arrested after the 14 year-old victim was bitten three times on the leg. NCPD reports the arrest of Christian Siley, 18, for an assault that occurred in Hempstead on Saturday, 6/3. Hempstead, NY - June 5, 2017 - Third Squad detectives report the details of an arrest for an assault that occurred in Hempstead on Saturday, 06/03/17 at 7:30 P.M. According to detectives, Christian Siley, 18, of Hempstead, along with two other male subjects (not yet apprehended), while in front of a residence on Cornell St., grabbed a 14-year-old boy and held him over a fenced in area, which contained a pit bull dog. The victim was dangled sideways over the fence by the subjects, which alerted the unleashed dog, who then bit the victim three times on the leg. Siley is known to the victim but reasons for the assault are unknown. The victim was transported to a local hospital, where he received several stiches on the leg and was released. Third Squad detectives arrested Siley on Sunday, 06/04/17 at his residence. He is being charged with Assault 2nd Degree, Endangering the Welfare of a Child and will be arraigned on Monday, 06/05/17 in First District Court, Hempstead. Detectives request anyone with information regarding this crime to contact Crime Stoppers at 1-800-244-TIPS. All callers will remain anonymous. Subject: LongIsland.com - Your Name sent you Article details of "Hempstead Boy Attacked by Pit Bull After Dangled Over Fence by Teen, Police Say"